Mazda’s online configurator has revealed pricing details for the 2019 Mazda3 sedan. At the 2018 LA Auto Show, the all-new 2019 Mazda3 arrived with a brand new design, revolutionary gasoline engine, and improved driving dynamics. 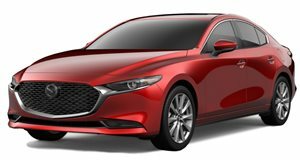 Thanks to the automaker’s online configurator, we now know how much the new Mazda3 sedan will cost in the US, although the configurator for the hatchback version isn’t available yet. At the bottom of the range, the base 2019 Mazda Mazda3 Sedan with front-wheel drive starts at $21,000, plus a mandatory $920 destination fee. Currently, the automaker only offers the naturally aspirated 2.5-liter four-cylinder with 186 horsepower and 186 lb-ft of torque paired with a six-speed automatic transmission in the US. Upgrading to the Select trim level will give you all-wheel drive, which starts at $24,000 plus the destination charge. The Preferred trim starts at $24,200 for the FWD model and $25,600 for the AWD model, while the range-topping Premium trim carries an MSRP of $26,500 or $27,900 if you want the power to be sent to all four wheels. Standard features in the range-topping model include luxuries such as LED headlights, a moonroof, leather upholstery, head-up display, power seats, and 12-speaker stereo, along with a suite of driver assists such as blind spot monitoring, automatic emergency braking with pedestrian detection, lane departure warning, lane keep assist, and adaptive cruise control. Five exterior colors are available. Deep Crystal Blue Mica and Jet Black Mica are available for no extra cost, Snowflake White Pearl Mica costs $200, while Machine Gray Metallic will set you back an extra $300, and Soul Red Crystal Metallic goes for $595. Inside, there’s a choice of Black or White leather, but these options don’t affect the price. Buyers can also upgrade the interior with optional accessories including a wireless charging pad ($275), illuminated door sills ($425), all-weather floor mats ($150), trunk cargo net ($50), carpeted mat in the trunk ($90), rear bumper guard ($100), and auto-dimming rearview mirror with Homelink ($375). Eventually, Mazda will expand the range by adding its Skyactiv-X supercharged 2.0-liter engine that can run on compression ignition. North American specs aren't available yet, but the European version will reportedly produce 178 hp according to a brochure leak. A six-speed manual will also be added to the transmission options.